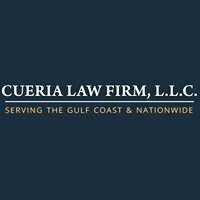 At Cueria Law Firm, we help individuals who have been wrongly injured due to accidents. Our personal injury attorney has over 25 years of experience representing clients on their behalf and getting them the compensation they deserve. We are a New Orleans, LA based law firm that specializes in personal injury and serves clients for cases such as auto accidents, rideshare (Uber & Lyft), medical negligence, maritime injury, and trucking accidents. No matter what brings a client into our office, one of our attorneys will go through the details of your case. Then present possible outcomes, and let you know if you should pursue legal action to collect damages. We fight incredibly hard for our clients and will go after even the biggest insurance companies to get clients what they are owed.